Beautifinous. 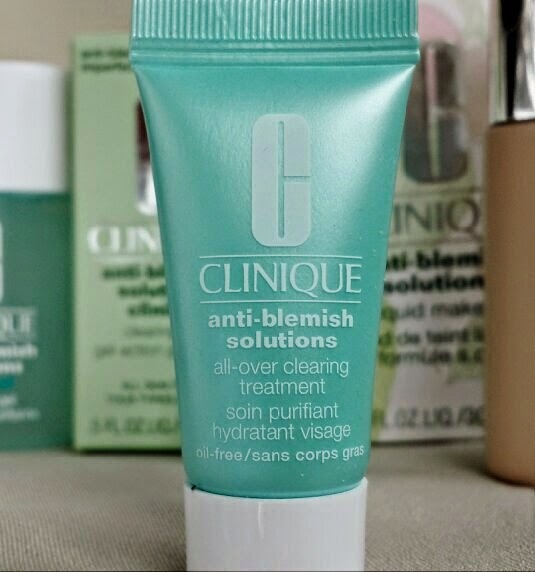 : Clinique Anti-Blemish All-Over Clearing Lotion. 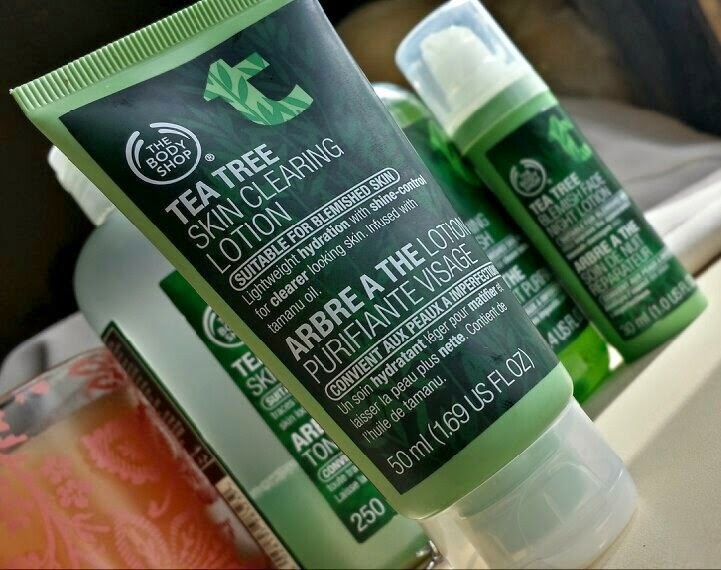 I recently published a post discussing my thoughts on The Body Shop’s Tea Tree range and in it I mentioned that I have been using them for years. 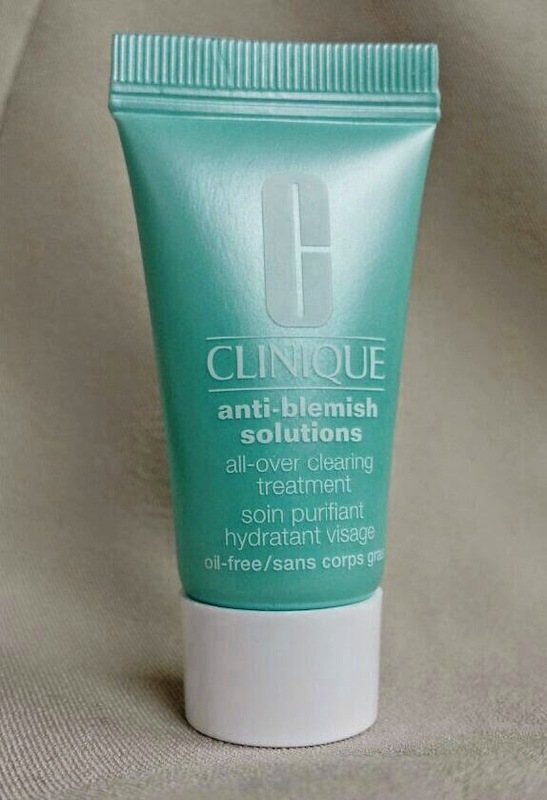 In fact, the moisturiser I used to use religiously before the Tea Tree Clearing Lotion was the Anti-Blemish moisturiser from Clinique. Then one day, my sister went to a Body Shop party and I ended up with a Tea Tree moisturiser which I didn’t stray from. At the time, I had recently come home from University and it had completely wiped me out financially. That, alongside the fact that Clinique’s prices were higher every time I returned to purchase what I needed, made me decide that I would continue to use the Tea Tree range as it was more purse-friendly. Don’t get me wrong, of course the Tea Tree lotion does a great job or else I wouldn’t have used it for so long! Everything that I said in my review on the Tea Tree range still stands. It wasn’t just about the price. Last week, I had an appointment at the Clinique counter for a makeup consultation (I picked up some great tips!) and whilst there, we had a discussion about my skincare routine. The lady providing the consultation used the moisturiser on my face before applying the makeup and after I left I began to think about it again. I had forgotten how nice my skin felt when I used it, but this time it felt even nicer. I’m not even sure why. During my appointment I had been provided with a couple of Anti-Blemish samples, one of which I hadn’t used before (the Clinical Clearing Gel) and one of which was the moisturiser. The next day, I decided to use it and I had the same feeling; I had forgotten what I had originally loved about this moisturiser over the years. In fact, once again, it just seemed so much better now. The best way I can explain it all is to imagine that you are dating somebody and then you break up. You find yourself in a new relationship and you soon forget all about your ex, blinded by happiness with your new boyfriend. Then, years later, you find yourself bumping in to your ex. You start talking and you begin to remember all of the fantastic things about them. In fact, it gets to the point where you wonder why you ever even broke up in the first place and whether you should be back together. I know that’s probably the cheesiest way to explain it, but I was honestly thinking about why I even stopped using it. This moisturiser is fantastic, and this is the thought process behind the theme that I mentioned at the beginning - resurrection. My love for this moisturiser has been reborn! Designed for use on blemish prone skin, this moisturiser comes packaged in a classic blue Clinique tube that holds 50ml of product. I currently only have my sample bottle on hand so the photos are showing the sample size and not the full size product. The moisturiser is white and is not too thick, but not watery either. It smooths over the skin easily and absorbs quickly, but not so quickly as to mean that you need to keep applying more to get it to spread across the entire face. You don’t need to use much. Once absorbed, this moisturiser leaves your skin feeling silky smooth and it also provides a matte finish. However, even with the matte finish, your skin is still comfortable and hydrated and doesn’t have that dullness that can sometimes occur when using products that mattify the skin. Due to the absorbency speed, this moisturiser is great for busy women as you do not need to spend time waiting for the moisturiser to sink into the skin. It’s fast and easy to apply with no messing around. The matte finish doesn’t last all day for me, meaning that makeup touch-ups or blotting may be needed, but it does last significantly longer than the Tea Tree finish. This is going to differ between person to person, so you don’t need to take what I say in regards to oiliness completely in to mind. I have really oily skin all over my face, so if you just suffer with an oily T-Zone for example, you should have no issues with this (in my opinion, bearing in mind that I’m not an expert). I find that this time around this moisturiser has worked better at helping to reduce blemishes for me. I used it for a long time during my original run with it but my blemishes never fully cleared up. This time things are going a lot better, but I’m not sure if that is because the moisturiser has been improved, the rest of my skincare routine - which has also changed over the years - works better with it or whether it was down to the combination of the moisturiser and the clearing gel. Makeup sits on top of this moisturiser beautifully, too. 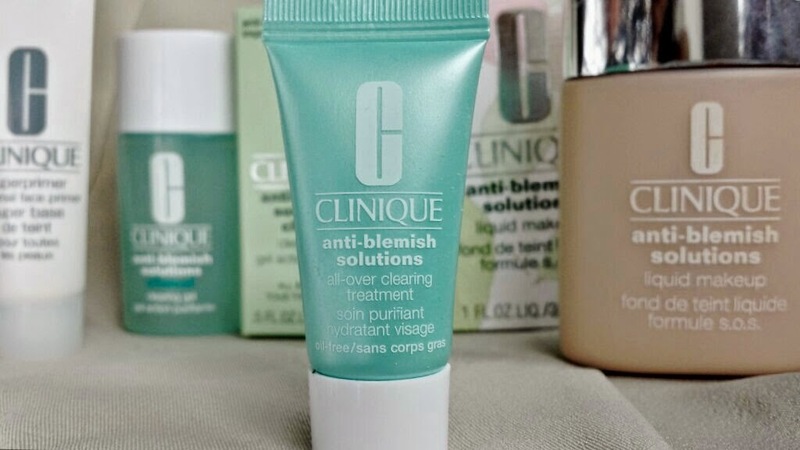 I use Clinique’s Anti-Blemish Foundation and I have found that it looks better when used alongside this moisturiser. If I use the Clinique universal Superprimer (Benefit’s POREfessional is my usual go-to) as well then they all work brilliantly together. I think that is a given though when you use products from the same brand in conjunction; they tend to compliment each other well. Overall, I believe that if you do suffer from blemishes then you need to try this moisturiser. If you are ready to break into a whole new routine, then also definitely pick up the Clearing Gel. Alongside this moisturiser I am having amazing results with the gel. Redness as well as blemishes is clearing up far faster with the use of the gel. The Anti-Blemish All-Over Clearing lotion retails at £18.50 for 50ml and is available from Debenhams, Boots or Clinique. 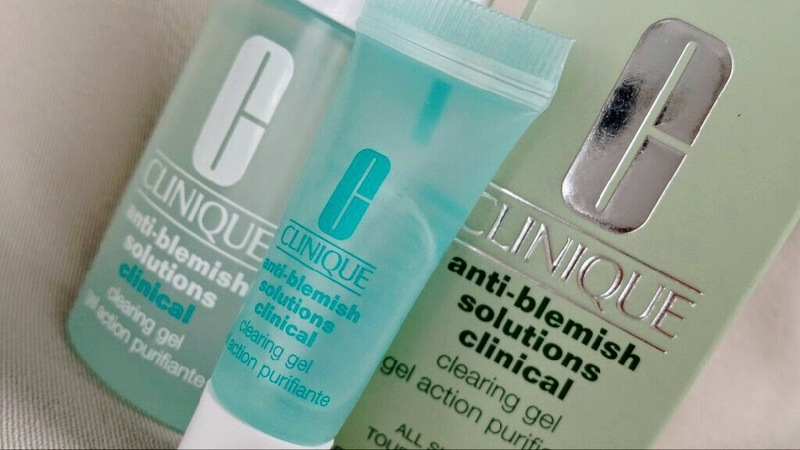 The Anti-Blemish Clearing Gel retails at £14 for 15ml or £20 for 30ml and is also available from Debenhams, Boots or Clinique. 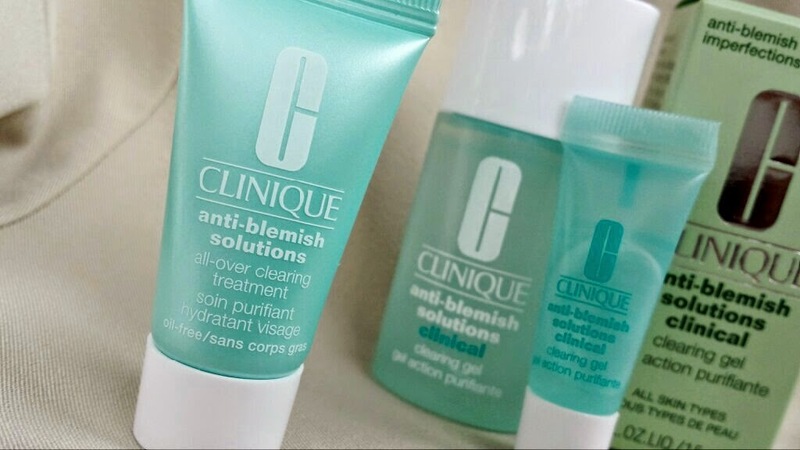 Have you ever tried any of the Anti-Blemish range from Clinique? What do you think of them?